These books are great resources for change-minded kids of all ages and will help them think about how to have a positive impact in our complicated world. They provide resources for those who want to have conversations with the children in their lives about topics like empathy, compassion, kindness, awareness, equality, diversity, inclusion, responsible food choices, and the impact of our everyday actions. Our books are to help educate and empower children! Vegan Hearts Coloring Book - Unique, stress relieving hearts to color, relax and enjoy! Save 15% with our 3-Book Gift Pack! Get all THREE of Vegan Children's Books for the children in your life! Be Kind to Every Kind , A Pig IS a Dog IS a Kid and Milk and Cookie a Little Spooky! These series have been created to provide children with a multi-level interactive learning experience about healthy, plant-based eating. It's not secret that young children learn best through play and laughter. 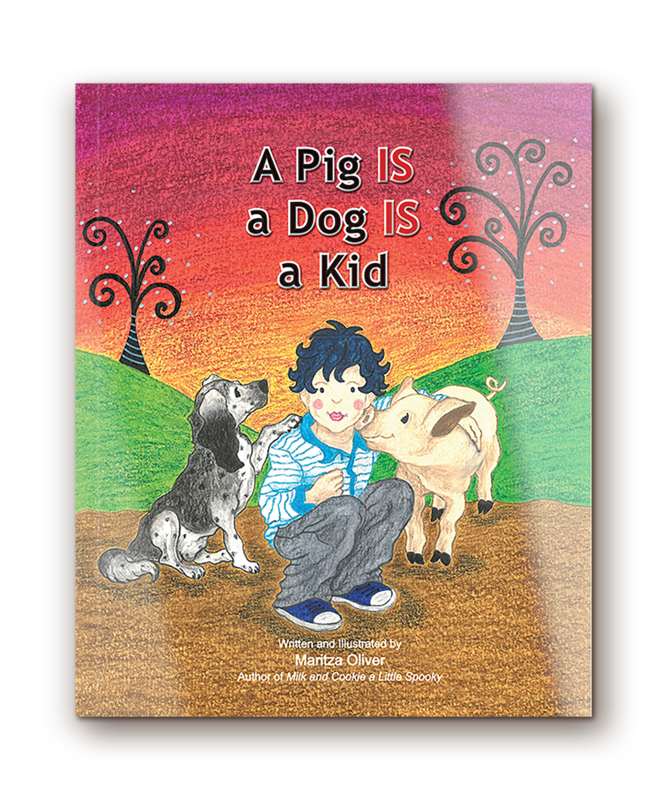 Inside these books you will find something rare and magical, books that succeed in making children smile while helping them learn to recognize food that is kinder to animals, people and the planet. Children of all ages will love working with them, both with or without adult supervision. Use our Plant-Powered Buddies on rainy days to keep children, grandchildren, or early elementary students busy and happy! Plant-Powered Buddies - My Coloring & Activity Book Vol. 1 "This series is all about the GREENS!" Plant-Powered Buddies - My Coloring & Activity Book Vol. 4 "This series is all about the YELLOWS!" Plant-Powered Buddies - My Coloring & Activity Book Vol. 2 "This series is all about the REDS!" Plant-Powered Buddies - My Coloring & Activity Book Vol. 5 "This series is all about the PURPLES!" Save 15% with our 6-Coloring-Book Gift Pack! Get Vols. 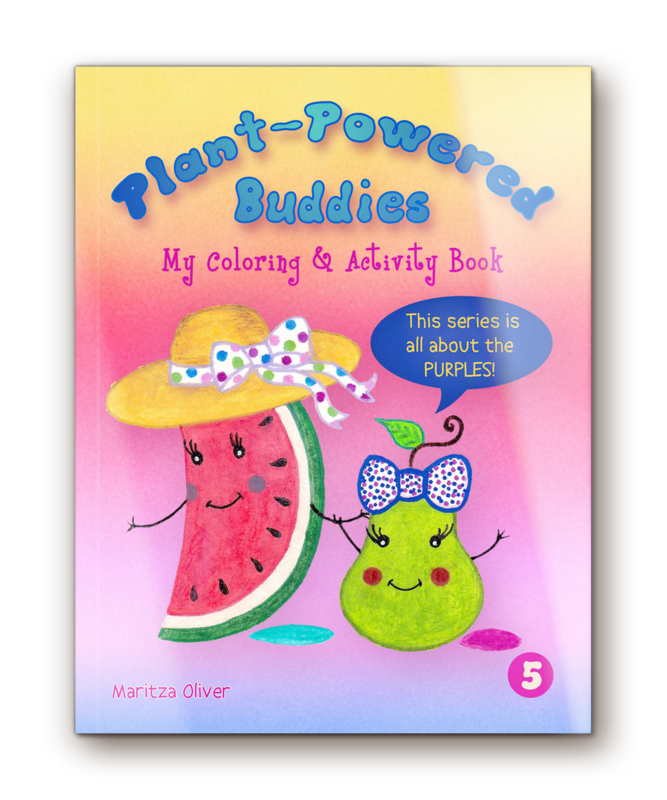 1,2,3,4,5 and 6 of the Plant-Powered Buddies- My Coloring & Activity Book series to keep school-aged children occupied all year round! 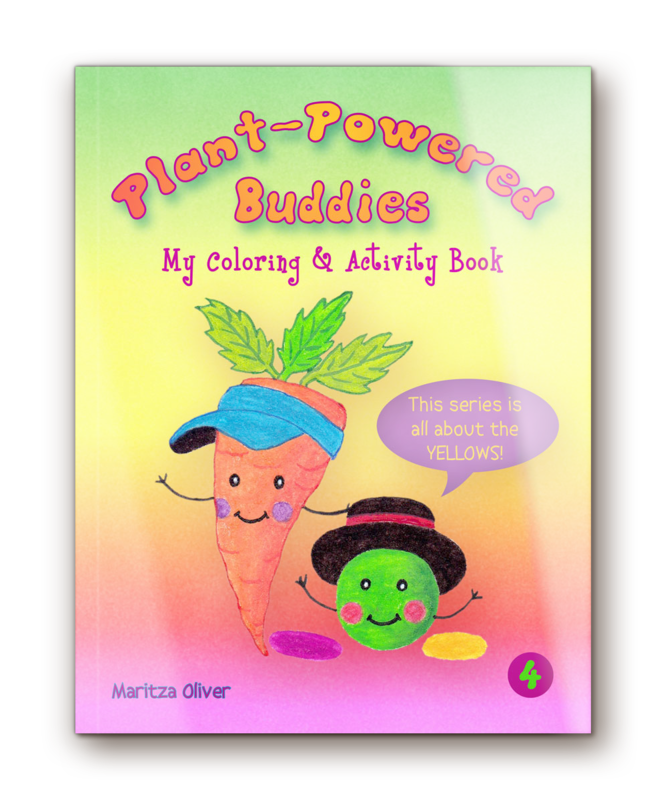 Plant-Powered Buddies - My Coloring & Activity Book Vol. 3 "This series is all about the ORANGES"
Plant-Powered Buddies - My Coloring & Activity Book Vol. 6 "This series is all about the WHITES!" *All of our books are aimed at children 5 and up, and adults of All ages! *SIGNED & PERSONALIZED COPIES AVAILABLE!